For many young people, the days and weeks after collecting GCSE results can be a confusing time, requiring them to think seriously about the future for the first time and make some difficult decisions. Often the question at the forefront of people's minds is whether to continue into Higher Education, or take the plunge into the world of work. While A Levels and University can be a good option for school leavers who enjoy academia and perhaps want to pursue their passion for a particular subject, it certainly isn't for everyone. If you would prefer to earn while you learn in a stimulating and rewarding trade with excellent job security, a plumbing apprenticeship can prove a great alternative to Higher Education which could well set you up for life. Naturally, one of the first things on people's minds when it comes to what step to take after GCSEs is money! With apprenticeship rates for 16-18 year olds set at £3.30 per hour, plumbing and heating apprenticeships offer you the chance to earn more money than would ever have been possible with weekend or after school jobs. What's more, with highly experienced plumbers earning very attractive salaries (an amount often equal to or sometimes higher than many graduates ever earn), apprenticeships also offer great future earning potential without the course fees involved in attending university. Another advantage of completing an apprenticeship in plumbing is that it offers far greater job security than many other careers; plumbers will always be in demand, their skills cannot be digitalised and plumbing jobs cannot be outsourced for cheaper labour overseas. It is also a hugely varied trade, allowing you to carve out your own career path. For example, plumbers work for the construction industry as well as for commercial and domestic clients and can choose whether to work for a plumbing company, undertake contract work or set up their own business. The plumbing trade is a vital part of the UK's construction industry and employs skilled craftspeople and technicians who work with a wide range of materials and technologies, from domestic boilers to advanced welding techniques and computerised systems. 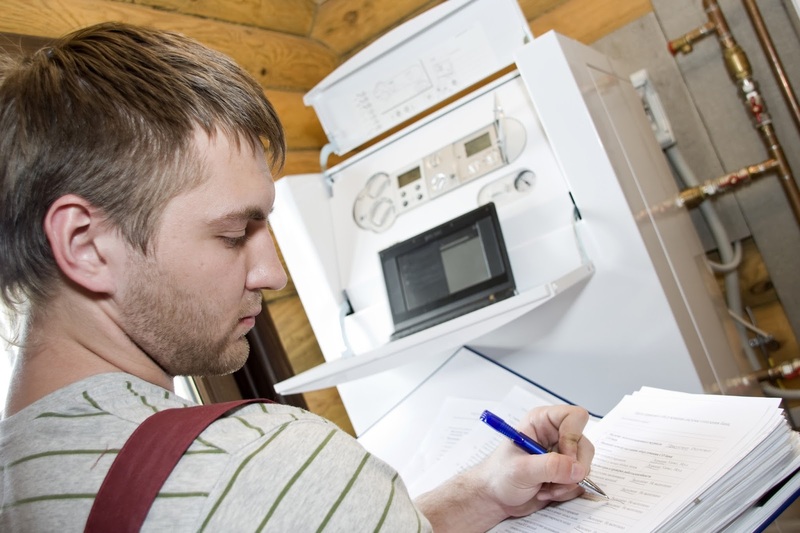 As an apprentice, you'll be required to work under minimal supervision to complete the installation and maintenance of plumbing systems and components including domestic hot water, cold water, sanitation, drainage rainwater systems and central heating. The apprenticeship will allow you to develop your skills and enter the profession at a higher level, equipping you with the skills to install, service and maintain systems such as gas fired water and central heating appliances and gas fired warm air appliances. The plumbing and heating industry is at the forefront of technological changes both in its traditional systems and new technologies, for example, environmental systems such as heat pumps and solar water heating. Whilst working in the trade you’ll need to ensure that these systems are designed and installed to meet strict legislation as well as very accurate design criteria. As such, in order to be successful in the apprenticeship it is recommended that entrants have at least GCSE grade C in maths, English and a science or technology subject. It's worth bearing in mind that many plumbing and heating companies treat apprenticeships as an investment, with a mind to taking suitable candidates on as permanent employees on successful completion of the training and allowing growth and development of the business. As well as requiring a certain level of maturity to learn about and complete work across a range of different areas, plumbing can be a physically demanding job, requiring a basic level of fitness for jobs such as crawling underneath flooring to fit pipework and operating certain tools. For a 16 year old not long out of education, this transition into the workplace can prove a bit of a culture shock, and anyone choosing an apprenticeship on the basis of it being a "soft option" will soon find out otherwise. However, with all the advantages a career in plumbing can offer, it makes sense to give it some serious thought. Young people interested in enrolling on an apprenticeship can find out more information at http://www.jtltraining.com/apprenticeships/ or by contacting their local college.